Hidden away in a cool, dimly lit underground room, students pore over their Bibles. They caress the pages and hungrily consume each word. This secluded sanctuary serves as a house church and seminary. And it all takes place in the basement of a Chinese Christian’s home. Heng, whose name I’ve changed to protect his ministry, knows these students are the future of Christianity in China. They will lead house churches of their own one day. And most likely, they’ll have to meet in secret and face physical persecution. Although Christianity is technically legal in China, churches must meet publicly under the watchful eye of the government. The government reserves the right to censor and control their churches to the point of distorting the Gospel. And regulations passed in February as part of a move to align “religion with Chinese characteristics” has led to extreme crackdowns on Christianity in many provinces across the country. Churches have been closed, crosses destroyed, Bibles burned and Christians arrested. This has driven most believers underground, both figuratively and often literally. 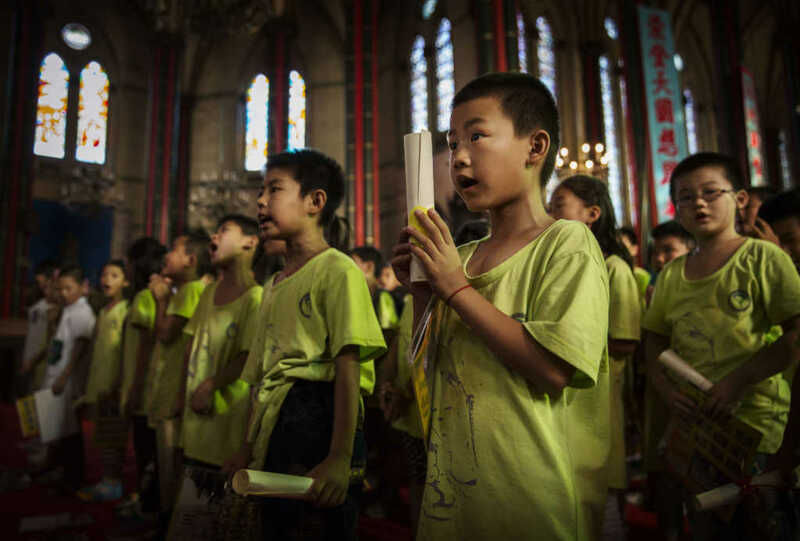 These secret house churches are considered illegal by the Chinese government, and the congregation could face serious persecution if they’re caught. But the future church planters in Heng’s basement are still willing to risk everything to study and learn more about Jesus Christ. Heng sees himself in these students … both in their eagerness and in how a church plant introduced them to Christ. But he also knows the oppression they’ll have to face because he has experienced that, as well. His own faith journey began as a teenager when he met a church planter. When Heng and his family attended a secret church revival, they all committed their lives to Jesus Christ and the ministry. Heng’s family offered their home as the location for a new house church. It was there in the privacy of those cement walls that Heng’s own Christian ministry blossomed. Soon after the house church began to meet, Heng and his family realized the need for a seminary where other believers could be trained as church planters. So despite the danger, they boarded students in their own home and began holding classes. In time, Heng got the chance to attend school and train himself. After attending seminary in another village, Heng went on to plant churches in villages all across China. But his journey wasn’t free of obstacles. Heng was arrested several times and on one occasion spent 40 days in jail. Every day, the police beat him with batons and threatened his life. Many times he thought he would die in prison. When he was finally released, Heng didn’t stop planting churches. He continued to spread the Good News of Jesus Christ! Just like the apostle Paul, Heng knew his present suffering was nothing compared to the glory he would receive in heaven. And because of Heng’s ministry throughout China, countless people have come to faith. Please keep Heng and his fellow Chinese believers in your prayers. Pastors and church planters like Heng desperately need the support of their brothers and sisters around the world as they work to grow the next generation of Christian leaders in their country. Kelsey Campbell writes for World Help, a Christian humanitarian organization serving the physical and spiritual needs of people in impoverished communities around the world. To learn more about religious persecution in China, click here.